A rare gold pattern coin and a Territorial Gold Piece are among the highlights being offered as part of Stack's Bowers Rarities Night on February 28 in Baltimore. 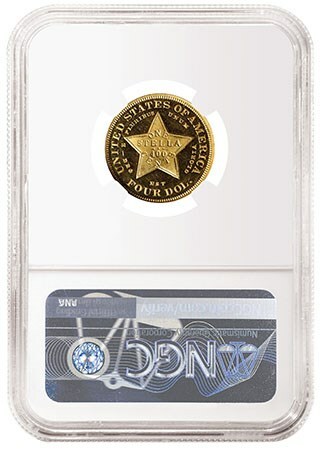 Both coins are certified by NGC. An 1879 Flowing Hair $4, graded NGC PF 65 Ultra Cameo, is likely to realize six figures in the auction. As a "type coin," the 1879 Flowing Hair Stella is a significant numismatic rarity, even more so from a market availability standpoint given the strong demand among advanced collectors. 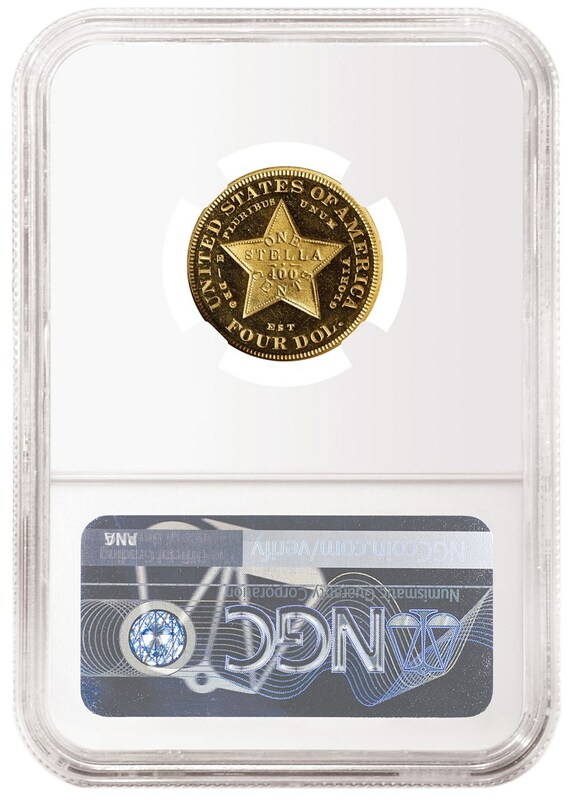 Although the four-dollar gold denomination was never authorized for regular issue production, the Stella has long been collected as an integral part of a complete type set of classic United States Mint gold coinage. Stack's Bowers Galleries is the Official Auction of the Whitman Coin and Collectibles Baltimore Spring Expo slated to take place February 28-March 3, 2019 at the Baltimore Convention Center. The Stack's Bowers Rarities Night auction also features an 1851 880 Reeded $50 Humbert, graded NGC MS 61. This rarity is among the most evocative of all the Gold Rush issues. The huge octagonal $50 gold pieces nicknamed "slugs" have been favorites of numismatists for generations. Lot 1140 - 1796/5 Capped Bust Right Half Eagle , graded NGC AU 50. Lot 1079 - 1795 Flowing Hair $1, graded NGC AU 55. Lot 1036 - 1916 Double Die OBV Buffalo Nickel, graded NGC XF Details. 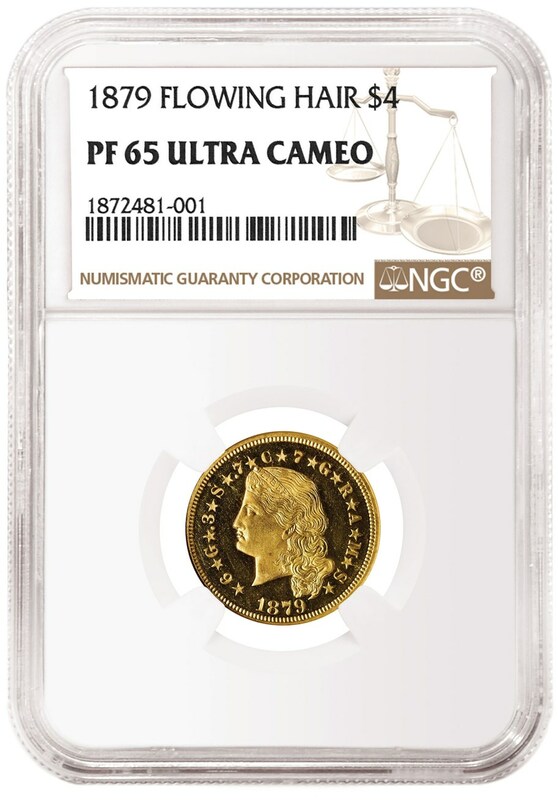 Lot 1135 - 1882 $3 Gold Piece, graded NGC PF 65 Cameo. Lot 1187 - 1907 High Relief $20, graded NGC PF 63.